Healthcare Software Solutions value to precious time, doctors can easily interact patients for medical appointment by consulting them online. A Healthcare Platform for patient-doctor collaboration to get rid of health crises under a roof. An online appointment scheduling software for doctors smartly manage medical records you get handy in few clicks. Patient engagement software technology for doctors enhance their business network. Medical store can access prescriptions online to deliver medicine on time. 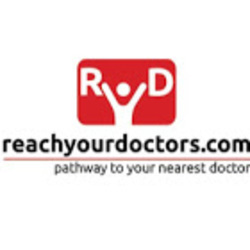 Reach Your Doctors (RYD) a smart solution for clinics consult patients at your ease.